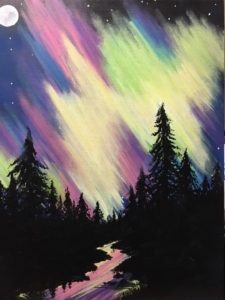 For our next Paint Night, participants will create an acrylic on canvas, winter themed painting. This is a 21+ program, reservations are required, and there is a $15 fee (cash or check payable to Carver Public Library) due by Tuesday, February 20th. Please call 508-866-3415 to register. Refreshments will be served.